Coming up with a list of best gaming headset recommendations is always fraught with difficulty. What might be super comfy for one person might be absolute agony for another, and trying to find one that suits your own musical tastes, be it ultra bass-y or a more moderate, tempered kind of approach, is another challenge altogether. As such, lists like this are always going to be highly personal based on the person testing them – which, in this case, is yours truly who prefers a more balanced kind of sound and has always struggled to find something that doesn’t give me a headache after 30 minutes of use. 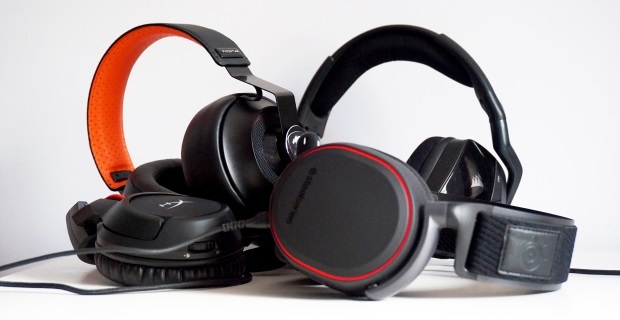 If that sounds like you, you’re in luck, as the recommendations below are by far the best gaming headsets I’ve found to solve all my gaming audio woes. Even if it doesn’t sound like you, though, hopefully you’ll find at least one or two headsets in here that take your fancy. Here are my top picks for the best gaming headset you can buy today.